Finally I have a set of completed T-shirts from a design project that began last year and in some ways has been around seven years in the making! 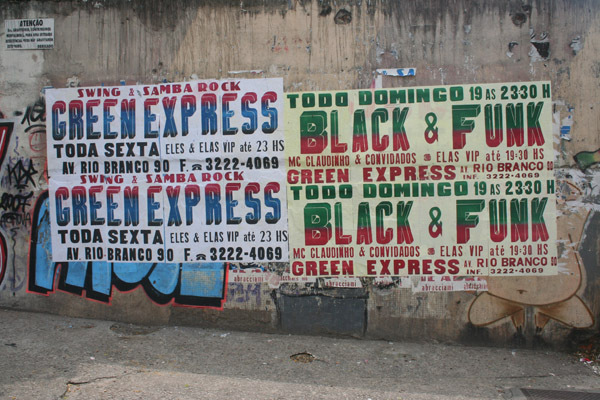 Lambe lambe is the name given to a type of woodtype poster printing known principally in Sao Paulo, Brazil and now only survives in one workshop – namely Grafica Fidalga. Lambe lambe (lick-it-lick-it) used to be much more wide spread as a form of fly-posted advertising, and at one time there were a number of workshops supplying the demand. 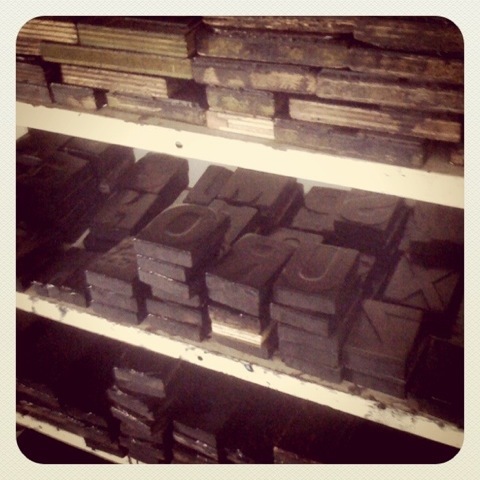 But as modern litho printing has become so prevalent the demand diminished and with only Grafica Fidalga holding the flame producing posters for gigs and events. 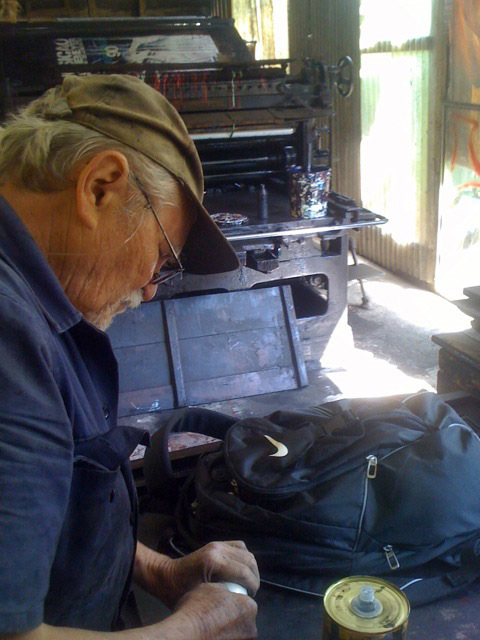 Through my friends at Choque Cultural I was able to visit the workshop a number of times over the years – which led to an article in Creative Review. 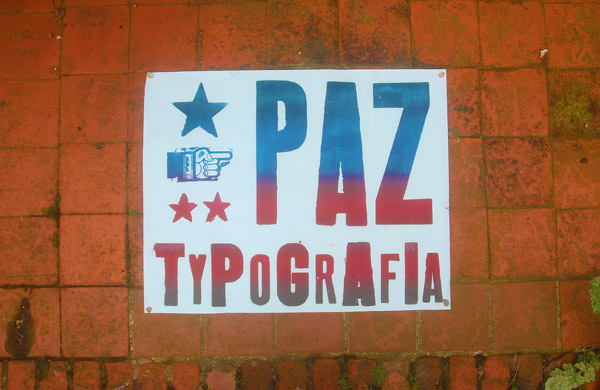 Choque Cultural have been great supporters of Grafica Fidalga and encourage many artists to work with them for typography and woodtype projects. With their help I was able to realise this T-shirt project alongside a Japanese company who published the shirts. 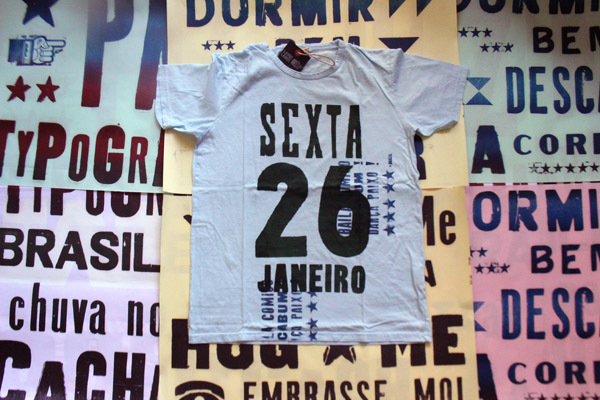 – then shipped to UK (example above) where I created the final T-shirts and label designs from them. Finally Akira (my partner in this) produced the range expertly, using T-shirt stock in pastel colours that emulated the cheap thin pastel paper that is typical of Lambe Lambe. 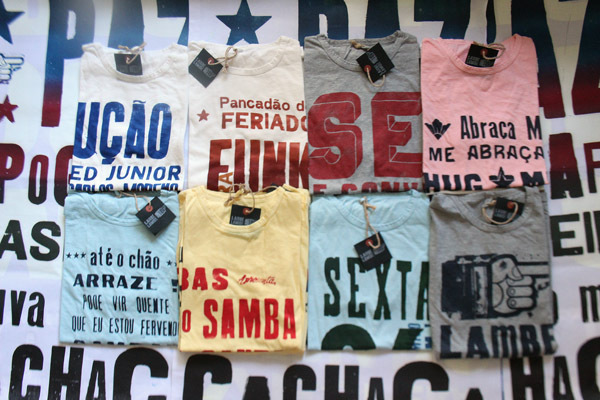 The T-shirts were then sold at various boutique outlets in very limited numbers.